If Logan truly turns out to be Hugh Jackman’s final outing as Wolverine, then there can be no argument he made the most of his exit. This film presents Wolverine unleashed as only an R-rating could permit, but that’s not what makes it work. Rather, it’s raw, emotional performances from Jackman, Patrick Stewart and newcomer Dafne Keen that make this Marvel yarn memorable. 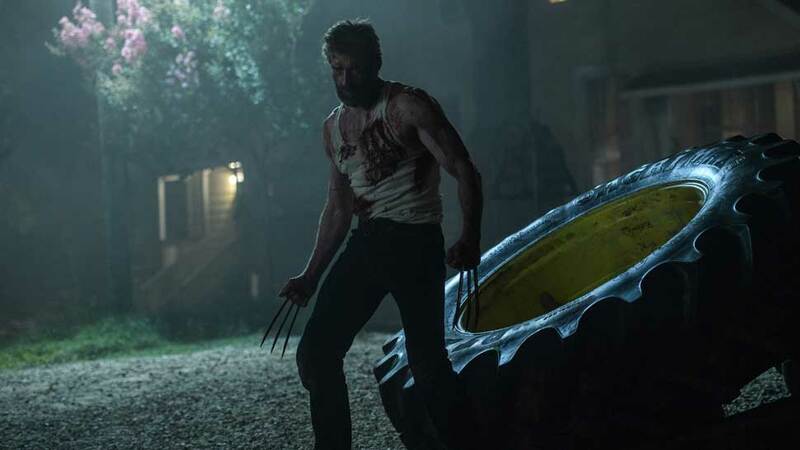 Set in a relatively near future, Logan’s world is a great deal bleaker than last we saw it. The loner has become a caretaker of sorts, doing what he can to care for an ailing Charles Xavier (Stewart). He drives a limo at night in El Paso, Texas, for cash while keeping the infirm professor hidden away just south of the Mexican border. What’s worse, Xavier isn’t the only one ailing. Logan’s healing powers aren’t what they once were. To all appearances, Time has finally begun to catch up with the seemingly-ageless mutant hero. When a woman and a child on the run ask Logan for help, it’s the last thing he wants to do. But the young girl, Laura (Keen), has a connection to the former X-Man that becomes readily apparent the moment bad guys show up to collect her. Xavier knows Laura is special the way he and Logan are, and she needs help getting to safety. Once convinced that the girl’s connection to him and the similarity of their abilities are no coincidence, Logan grudgingly agrees. Thus, the aging teacher, the weary warrior and their new charge begin a dangerous journey. Between them and sanctuary wait a private army of mechanically enhanced mercenaries out to bring Laura back to her creators. In his prime, such men, even their formidable leader, Pierce (Boyd Holbrook), would have been no match for the Wolverine. But that version of Logan is gone. Or is he? When Hugh Jackman posted #OneLastTime on his Instagram account back in 2014 along with an image of Wolverine baring his trademark claws, fans hoped at last he’d deliver the Wolverine film he’d been promising them for years. They’d been disappointed before. 2009’s X-Men Origins: Wolverine might as well have been titled Fan Favorite Origins: And oh yeah, Wolverine’s Here, Too. 2013’s The Wolverine was a better, purer Wolverine film, but was still rejected by fans who wanted a more faithful rendition of the seminal Frank Miller-penned comics story that inspired it. With Logan, maybe, just maybe Jackman will finally give the devotees what they want. The R-rating certainly helps — the body count, the number of heads skewered and limbs severed by Logan’s claws, none have ever been higher than here. Balancing the carnal action is a film story built around the character’s trademark anti-hero gruffness and brooding pragmatism. This is a dark, dark film, one where the script all but snuffs out any shades of superhero lightness. That’s not to say there isn’t any fun. That’s where the young lady playing Laura, Dafne Keen, comes in. Director James Mangold (Walk the Line) brings out in Keen a remarkable performance, one written with minimal dialogue, forcing the actress to convey a complex range of emotions with just her large, dark eyes. When called upon to join in the action, Keen doesn’t disappoint, either. Just imagine a 4′ tall version of the whirling dervish Jackman was in previous films, and you’ll get the idea. Patrick Stewart also delivers a heartwrenching turn as an Xavier in his 90s, still willful and idealistic though the decades have taken their terrible toll. At 2 hours and 15 minutes, Logan does take its time to tell its story, and that’s a good thing. Despite the lengthy running time, the film never feels labored. Rather, it feels as though writer and director know exactly where they want the story to go and how they want to prime the audience for that destination. The film also has a few surprises in store, even for seasoned comic book fans. Longtime X-Men fans will no doubt pick up on references to past classic stories and villains, but the film itself isn’t based on any one particular source. Thus, it’s not beholden to going in any one particular direction. Logan is certainly worth the opening weekend price of admission for fanboys and girls, but not just them. For casual movie audiences who may be fans of Jackman’s other work or just solid acting beefed up with stylized action, there’s plenty to enjoy here, too. However, be warned, parents. The level of violence here is akin to what Deadpool gave audiences last year, but without any trace of that film’s levity or cartoonishness. Is it gratuitous? No, but it is plentiful, as is the “colorful” language. If those elements are not an issue, however, then welcome to the party, bub. Grab your popcorn, sit back, and enjoy the bloody ride. 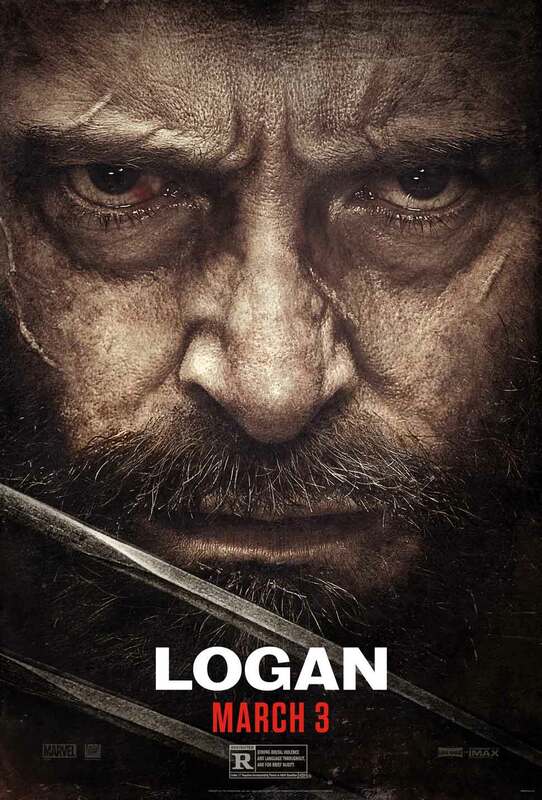 Starring Hugh Jackman, Patrick Stewart, Richard E. Grant, Boyd Holbrook, Stephen Merchant, and introducing Dafne Keen. Directed by James Mangold.